Are you in search of an ingredient that can increase your health and energy? Then white pumpkin is the ideal food for you! White pumpkin juice is a beverage that can make you refreshed and help in managing your weight within normal levels. It is packed with important vitamins like Vitamin A, C and E. It also contains minerals like potassium and calcium in high amounts. In addition, it is rich in antioxidants also. So, you can see how healthy it is. 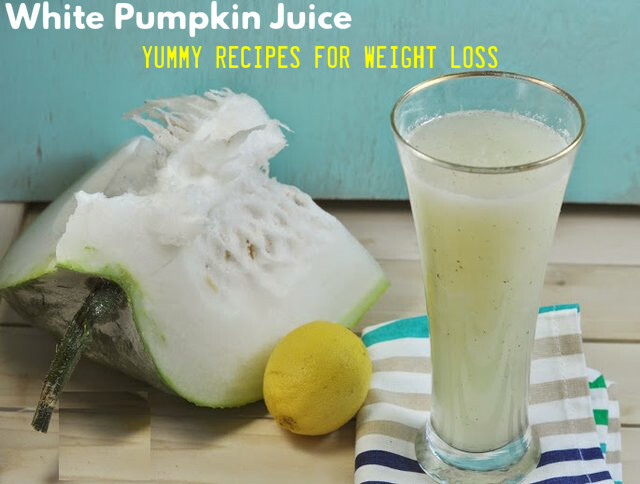 White Pumpkin Juice for Weight Loss – How to Make Them? Like orange pumpkin, white pumpkin also belongs to the Cucurbitae family. It is very common in England. Hey are available in various varieties like baby boo, cotton candy, lumina, casper, albino pumpkin, ghost pumpkin and so on. Its health benefits have made it a favourite among people who are health conscious. Pumpkin is good for losing weight effectively. The pumpkin recipes given below are delicious and you will surely like it. White pumpkin and apple juice is not only great for losing weight, but also offers you a lot of other benefits. Some of the benefits of this juice are – reduction of cholesterol levels in the body, improved digestion, reduction of blood pressure and increase in the immunity power of the body. Take a white pumpkin and cut it into two halves. Now cut them and make smaller pieces of pumpkin, and remove the skin from each piece. After cutting and peeling the pumpkin, you can keep these pieces in an aluminium foil. Now place these covered pumpkin pieces in a baking utensil. Heat an oven to 190 degrees Celsius and then place the utensil in the oven. Bake the pumpkin pieces for about 70 minutes. After 70 minutes are over, you can take the utensil form the oven and let it cool. Remove the aluminium foil from the pumpkin pieces and collect the juice that comes out in a bowl. Keep it aside. Now take a fresh apple and grind it in a mixer. Filter the juice from the pulp of apple and place it in a bowl. Now you have to mix the two juices together. Leave it aside for 15 minutes. You can drink this juice every morning on an empty stomach or you may have it with breakfast. Drinking this juice regularly will give you good results. This health drink can reduce the size of your waist in just 15 days. It helps in removing toxins from the stomach and also detoxifies our liver. As a result, the liver will absorb the fat and processes it. This means burning of the fat deposited in layers. This eventually leads to loss of weight. This beverage helps killing the excess fat in your body. Consuming this juice regularly leads to weight loss and reduction of fat. Take a white pumpkin and peel it. Cut it into pieces. Put the pieces in a mixer and add water and lemon juice to it. You have to filter the liquid you get to remove the pulp from the juice. Take the filtered juice in a glass and add cardamom powder to it. If you want to have it sweet, you can add some honey to the juice. Add some black pepper powder and salt to the juice and consume this tempting drink every day in the morning. This is a very light health drink and very effective for losing weight in a natural way. It is a boon for people who want to lose weight and become slim, but cannot compromise on taste. Take a white pumpkin and peel it. Now cut it into smaller pieces. Place these pieces in a strainer and then place a bowl below the strainer. Start working on the strainer to mince the pumpkin pieces evenly. As you do so, juice will be produced. Collect the white pumpkin juice in the bowl you have places under the strainer. Keep the mashed pulp aside and refine the juice you have collected in the bowl. Take a clean cloth and put this cloth over a bowl. Now start dripping the juice on the cloth slowly. You should be careful because if you rush the process, the juice may drip sideways and fall down. Filtering it this way helps in removing all traces of the pulp from the juice. Once you have filtered it, leave the juice you have collected aside in the bowl. Next you have to take the pineapple chop it into pieces. Grind these pieces in a mixer to get the juice. Filter the pineapple juice to separate the juice from the pulp. Mix both the juices well. You can add black pepper and salt to this juice and consume it. This white pumpkin juice is really going to be tasty and loved by all beverage lovers. Now that you have seen different ways to prepare white pumpkin juice, try them out and consume the juice regularly. This will help you lose weight and also avail lots of other benefits.